Some days I want to crawl out of my skin and run away so far that my legs stop working. Those days are especially hard on me. It’s hard to explain this to a person who’s never suffered through depression or anxiety. I cringe at the thought of having to explain it sometimes because it feels like some of my words just slip through the cracks. Yes, things are a lot better sometimes and things look a lot more grim at others. Some days the anxiety will wake me up several times in an evening reminding me “hey, we haven’t resolved that thing, you remember that thing?” And yes … I remember that thing vividly … Thanks for reminding me. These are the moments that no amount of alcohol can make better. 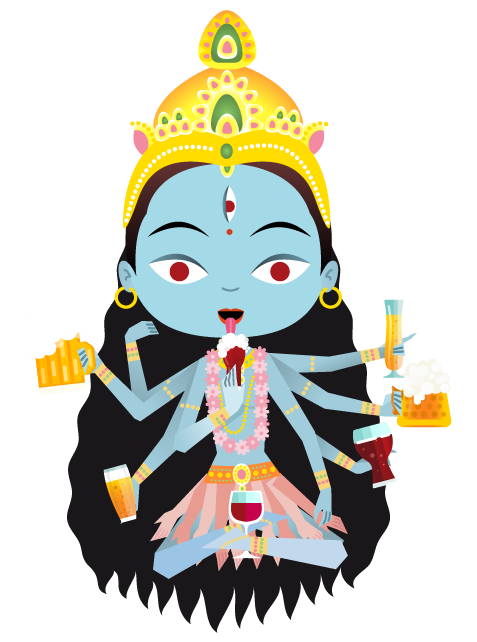 Though I am the drunken goddess, part of that reality is also me … drunken with emotions. In these moments nothing else fits. Not alcohol. Not food. Not one more sad thought.